of vehicles to choose from. on hand ready to help! Are you looking for a quality, affordable used car for sale in Tampa or a pre-owned car, truck or SUV in the surrounding Holiday and Pasco areas? Car Credit has what you are looking for and now has 4 great locations for you to shop for a new car with over 500 used vehicles in stock! Why buy from us? Because 65% of our cars are sold to previous customers, friends and referrals. At Car Credit our bilingual staff is committed to providing the best customer experience throughout the car buying process. We are confident we have the right used car, used truck or used SUV for you. Use our website to view our inventory by location in Tampa and nearby Holiday and search for used car specials, apply for a loan or learn more about our dealership. In business since 1984, we help you find the car you need, at a price you can afford and we help you get approved for an auto loan. It’s just that simple. No credit, bad credit, then we’ll get you approved as we guide you through the process. 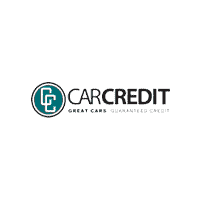 At Car Credit we realize even those with damaged credit need help in this economy. We offer used car loans through our guaranteed approval program whether you have no credit or damaged credit. We are sure you’ll discover Car Credit is the right place to buy your next used car, truck or SUV with our buy here, pay here option. You can even make an appointment for service and get directions to our dealership. If you have any questions feel free to call us at 888-314-4469. Come visit Car Credit today.